In loving memory of DELPHINE HOLY SINGER, born January 21, 1960, who passed away at the Peter Lougheed Hospital, Calgary on August 14, 2016 at the age of 56 years. Delphine is survived by her daughter Marcia (Buddy) Healy; grandchildren Kaylub Day Chief, Sheldon Jr Wolf Child, J.T. Day Chief, Tyeera Day Chief, Kyra Holy Singer; sisters Christine Little Bear, Geraldine Across The Mountain, Mary Ann Holy Singer, Alvine (Lester) Low Horn, Ardith Wells, Shirley (Barnabas) Tallman; brothers Thomas (Roseline) Holy Singer, Alvin Wells; uncles Bernard (Agnes) Shouting, Marcel Shouting; aunties Beauty Wells & Harriot Wells. She will be missed by loved one including cousins, nieces and nephews. Delphine was predeceased by her parents Art Wells & Bertha Holy Singer; son Sheldon Holy Singer; siblings Franklin & Josephine Hoof, Oliver Shouting, Bernadine Holy Singer; grandparents Ambrose & Maggie Shouting, James & Annie Wells. A Wake Service will be held at the Moses Lake Community Hall, Blood Reserve on Sunday, August 21st from 7:00 p.m. continuing all night. The Funeral Service will be held at the Moses Lake Community Hall on Monday, August 22nd at 1:00 p.m. Interment to follow in the Pioneer Cemetery. 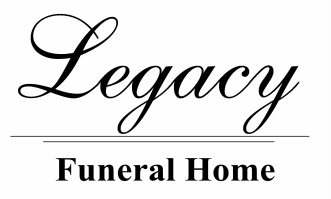 Send condolences to: www.legacyfuneralhome.ca.